Usually shipped in 15 - 30 working days. 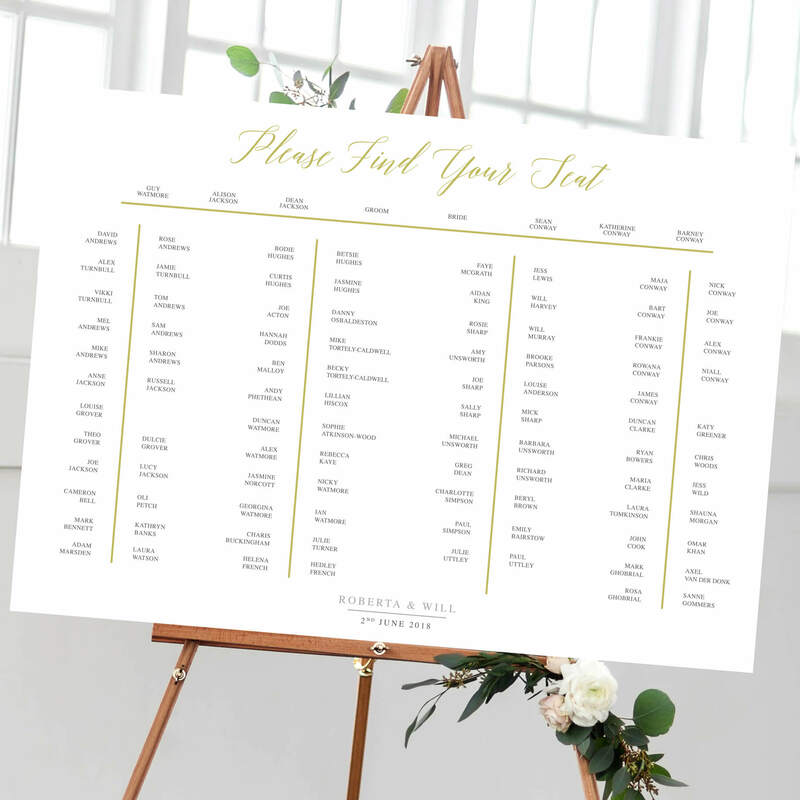 Elegant Gold Table Plan for a wedding or special occasion. This beautiful Table Plan is the perfect seating plan for a couple who are hosting a modern wedding featuring elegant gold colours. Give your guests the wow factor on your day with this impressive seating plan. 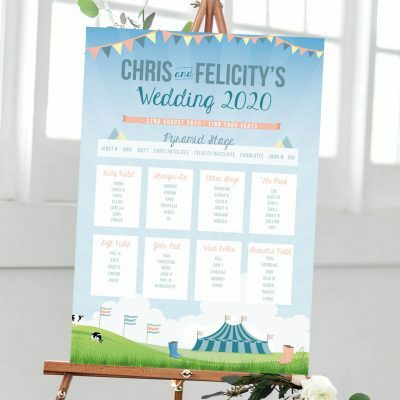 This plan is different to the traditional wedding plan they would usually see. 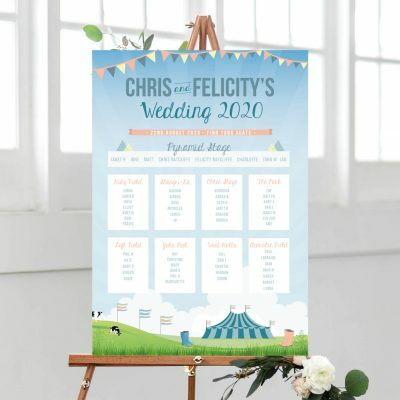 This design lends it’s self to a wedding breakfast where the tables will be in long rows, rather than round tables. 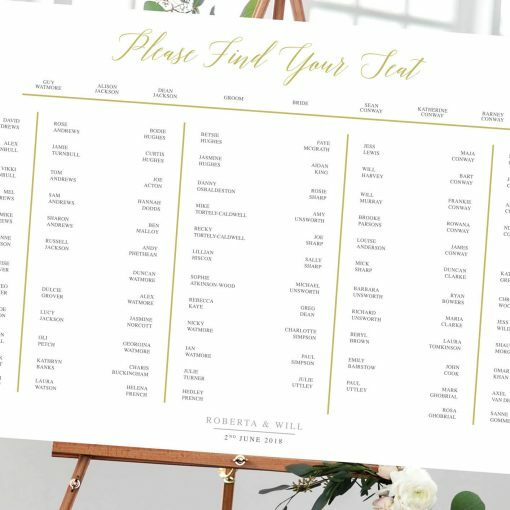 We also have matching table numbers, along with place cards and a welcome sign to keep the elegant theme throughout your wedding. Through experience, we recommend printing your table plan on the 3mm Foamex Board for a great quality. It will stand alone and not require a frame. 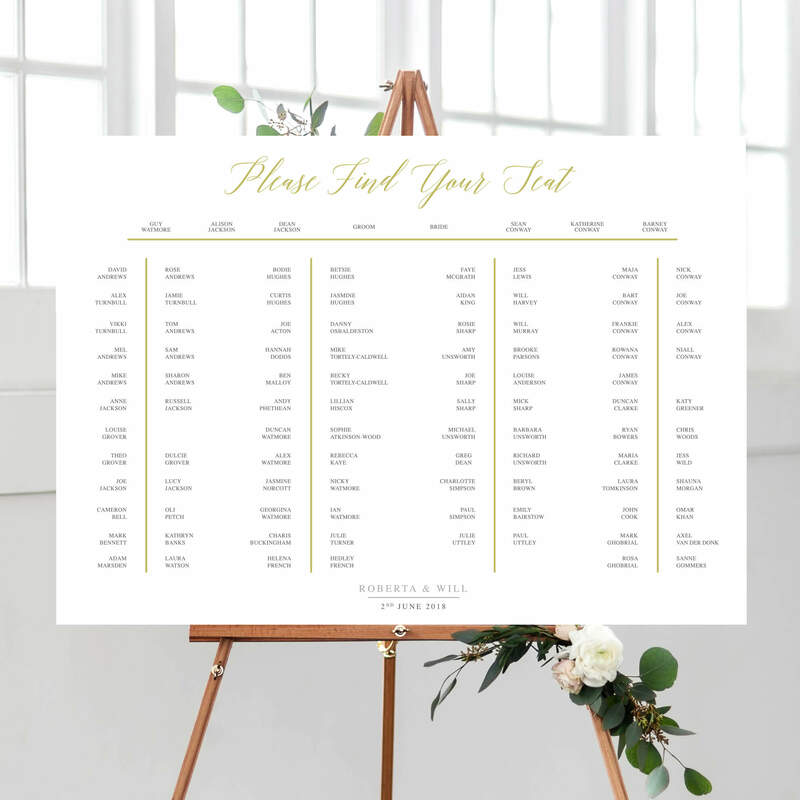 If you are having a large wedding with over 60 guests, we recommend going for the A1 size. This way the names will be big enough for everyone to read clearly. Once your order is placed, we will be in contact for your personalised details and wedding information. 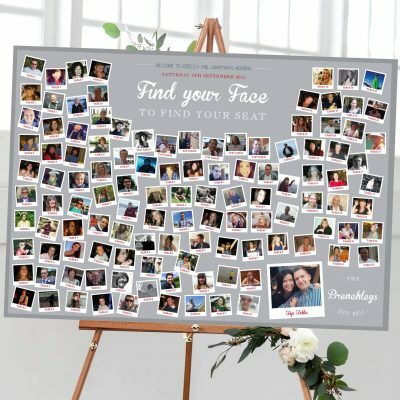 We will input your details into the design and be in touch with a design proof for you to check over before we send to print. 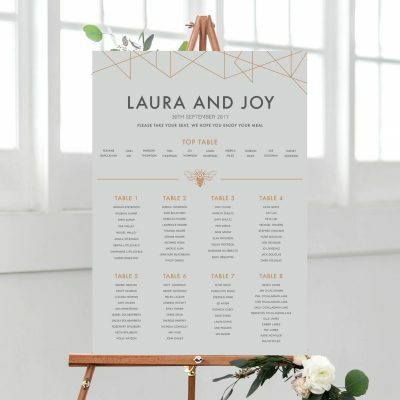 We also have matching invitations to complete the package. 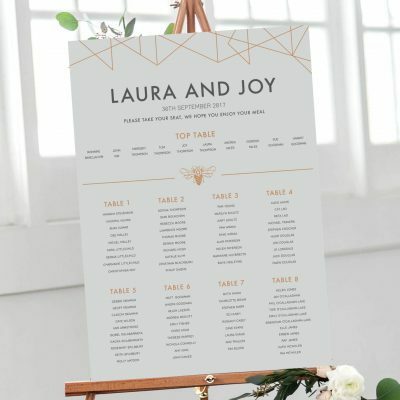 You are able to customise the text on this table plan. 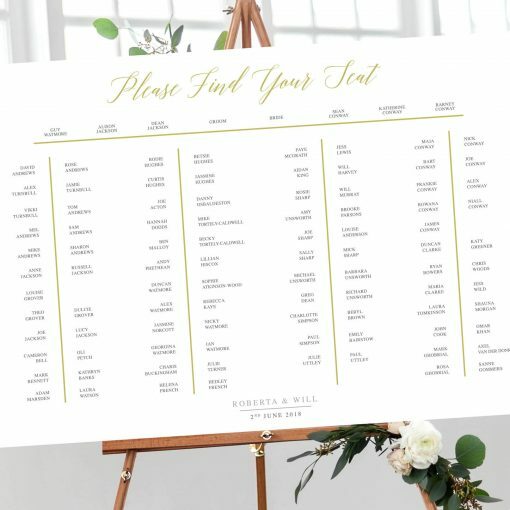 Contact us if you would like something a little different, we can design Bespoke Table Plans and would love to hear your ideas!